Armed robberies are on the increase. Here are some safety tips on what to do should the situation arise. When an armed robbery takes place at a location (store, warehouse, factory, shopping centre or restaurant), the likelihood of the incident turning violent, resulting in injuries to personnel and customers, can be effectively reduced by the behaviours of the staff and customers. DON’T RESIST – DO EXACT AS YOU ARE TOLD. The robbers are in control of the situation because they are armed, and it serves no purpose to resist their instructions – you will only be putting lives at risk. Relax – Regulate your breathing, taking long, slow deliberate breaths. This slows your heart rate and helps you relax. Speak slowly – Don’t shout or raise your voice to the robbers. They are probably more nervous than you and it won’t take much for them to lose any self-control they may posses. Don’t make sudden movements when you want to do something – even if it is an instruction from the robber – tell them what you are doing – “I AM GOING TO TAKE THE KEYS OUT OF MY POCKET NOW” – and do it slowly. Don’t set off the siren, activate the alarm – unless you can do so secretly without the robbers seeing you. Many armed robberies have turned violent (with hostages taken) because the siren put the robbers into a panic. Setting an alarm can trigger a violent response. Don’t look the robber directly in the face. The robber may believe that you are trying to memorize his features for later identification and it could lead to him shooting you in order to prevent this. Give the robbers time to leave. Don’t shout or do anything else until the robbers have left the premises. Don’t try to be a hero. Don’t attempt to prevent the robbers getting away. Many crime scenes have turned violent as the robbers are leaving, resulting in deaths and injuries to staff and customers. Observation techniques, clear information on the robbers assist the police investigation. However, this should not be done at the risk of your life or that of persons around you – Don’t make it obvious that you are observing them. Focus on one person at a time – gain an overall impression first – HEIGHT – BUILD – FIREARM OR OTHER WEAPON – CLOTHING – SPECIAL FEATURES: A LIMP. DEFORMITIES, BIRTHMARKS ETC, then look at details, are their eyes wideset or close together. Remember any names when talking to each other. Remember what they touched, where they walked, any cigarette butts discarded, body fluids deposited etc. Vehicles – the same rules apply, overall impression first, then the details – first look at the make and model – colour – noticeable features, registration number…………….. SCENARIO : When your car needs to be towed. Involved in an accident and not sure what to do about towing your car? 1. Have your Broker or Insurer on speed dial. Always call them first to ensure that you know which towers are approved and allowed to tow your car and which are not. Permission is needed before they touch your car – some service providers will say that they are affiliated with certain insurers when they aren’t and then go on to charge you exorbitant fees. 2. Make sure you have recourse if something goes wrong. 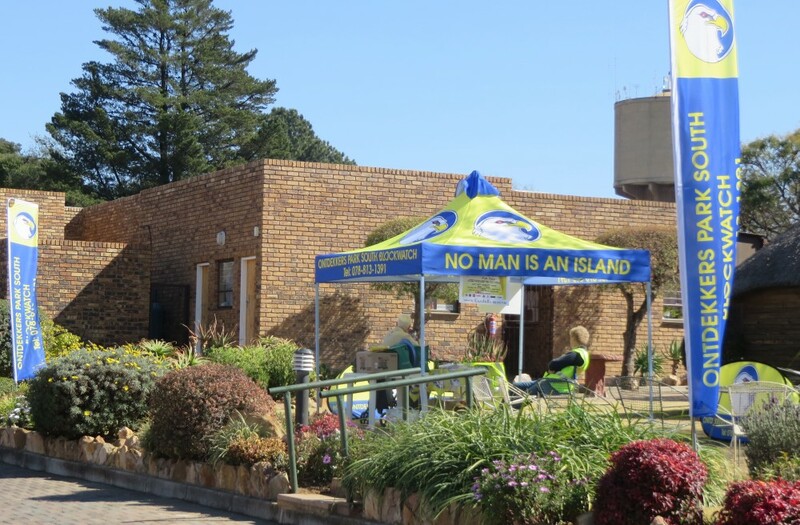 If a car is towed by an approved service provider your insurer can assist in the event of something going missing like a car battery or spare tyre or if you car gets scratched. If not, it could be difficult to hold the company involved accountable. 3. Be careful what you sign for. When signing over your car to a towing company know what you are signing for – some charge a rental cost per day or there may be other costs you are not aware of or that your insurance company may not cover. Towing is the first aspect in managing the life cycle of a car’s repairs – for example if it is towed to the wrong place or ends up at the incorrect panel beaters, it would make things tricky down the line. In addition, using an unapproved service provider could compound the average cost of acclaim – there could be storage, security and release fees etc, meaning that your premiums could eventually increase unnecessarily. By following the correct procedure, up to 40% or even more could be shaved off your claim. 5. Choose the right Insurer. Some Insurers have incident managers that oversee towing and other related activities on behalf of the organisation. This will ensure that your towing experience is pleasant, cost effective and efficient. No one likes to think about the possibility of being involved in a car accident, but it’s important to know exactly what to do if it does happen. If you are involved in an accident that causes injury or damage to property, people or animals, you are required to stop under the South African law – and could be liable to fines or even a prison sentence if you don’t. Stop your vehicle, assess the damage and call for the appropriate assistance immediately. 2. IF THE CARS CAN BE MOVED AND NO ONE IS INJURED. In the event of a ‘bumper bashing’ where no one has been injured and the vehicles involved are damaged but still driveable, you should move the vehicles so as to not obstruct traffic and exchange information with the other parties involved. Use your cell phone to take pictures of the other vehicle (and its license disc) and take down the other party’s full name, ID number, address and contact numbers. This information can prove invaluable should you want to make a claim against your insurance or the Road Accident Fund, or if you want to claim the costs of repairs from the other party. Even if no one was injured, both parties are required to report the accident at a police station of their choice. 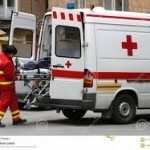 (It does not necessarily have to be the police station closest to the accident). The police will issue you with a form and an incident number that you will have to relate to your insurance broker. In the event of a more serious accident, your first consideration should always be to establish whether or not any of your passengers or passengers in the other vehicle may have been injured. If so, immediately call both emergency services such as medical rescue – 082911 and the police – 10111. Don’t attempt to administer medical treatment if you aren’t skilled in first aid. In this instance, you should not move your car until a law enforcement office instructs you to do so – even if it is still driveable. Unless you need to call for help, you should always stay at the scene until you are given the go ahead by the police to leave. 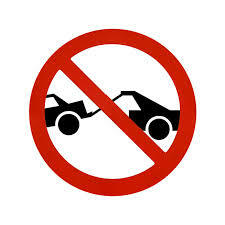 Tow trucks are usually quick to converge at the scene of an accident and be extremely persuasive when it comes to towing your vehicles away, but unless they are authorized by your insurance company to remove your car – don’t allow them to. Your Insurance company may very well have contracted a preferred repairer and towing service, and vehicles under warranty may usually only be repaired by a panel beater that carries badge approval. Its best to avoid dealing with private towing companies to prevent the risk of losing your warranty or incurring release fees. Keep your insurer’s number on your cell phone, along with your policy number and deal directly with them. The majority will have 24-hour customer care helplines that can arrange the necessary tow trucks and assistance you require. Accidents happen, as the saying goes, but preparing for such an eventuality is an important part of being a responsible vehicle owner. Make sure that you have all the relevant emergency and insurance contact information you might need saved on your cell phone or stored in your cubbyhole at all times and remain cognisant of what the law requires you to do. 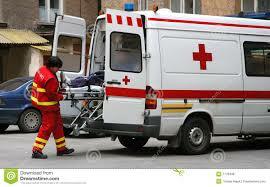 CAR ACCIDENTS ARE EXTREMELY STRESSFUL AND PREPARATION CAN MAKE A HUGE DIFFERENCE DURING THE EVENT.